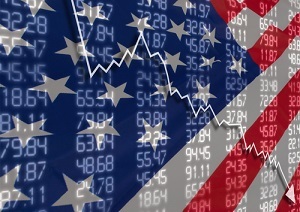 Futures for the Dow Jones Industrial Average forecast a 27-point decline as investors turn their attention to monetary policy meetings this week from a number of prominent central banks around the globe. A massive stimulus package by the European Central Bank has investors hungry for more sugar as they eye this week's monetary policy decisions from the Bank of Japan, the U.S. Federal Reserve, the Swiss National Bank, and the Bank of England. And here's the top stock market news, stocks to watch, and economic calendar for March 14, 2016. Today, a light economic calendar has traders paying attention to events across both oceans. The Asian stock markets rallied again this morning, with the Nikkei adding 1.7% and the Shanghai Composite Index taking a 1.7% gain. Energy traders are watching the status of the global oil deal between OPEC and several non-OPEC producers. Oil prices slumped again after Iranian oil leaders sank the possibility of a quick deal among global producing nations to slash energy production. Brent crude prices fell more than 2% after Iran announced it would only join the production freeze group after it topped production of 4 million barrels each day. On the economic front, traders are playing a wait-and-see game with the Federal Reserve, which kicks off its second meeting on monetary policy tomorrow afternoon. The Fed is not expected to raise interest rates this month; however, a flurry of positive economic data – including last month's strong jobs report and energy prices boosting inflation – could press the central bank to take action at some point this year. On Friday, the Dow surged 218 points and hit a four-week high. Traders celebrated news from the European Central Bank that President Mario Draghi and his central banking clan were poised to unleash a wave of unprecedented monetary stimulus across the world's largest economic bloc. The deals just keep coming. This morning, shares of natural foods grocer The Fresh Market Inc. (NYSE: TFM) gained 2.4% on news that it will be purchased by private equity giant Apollo Global Management LLC (NYSE: APO) for $1.36 billion. Shares of Starwood Hotels & Resorts Worldwide Inc. (NYSE: HOT) were up more than 8.3% on news that the firm received an unsolicited takeover proposal bid from a number of firms spearheaded by China's Anbang Insurance. Starwood has already agreed to be purchased by Marriott International Inc. (NYSE: MAR). The board says it will not change its recommendation to accept its previous deal. Meanwhile, the Blackstone Group LP (NYSE: BX) announced plans to sell luxury hotels operator Strategic Hotels & Resorts to Anbang Insurance. The deal comes just three months since Blackstone purchased the firm for $4 billion. Shares of Walt Disney Co. (NYSE: DIS) slipped slightly this morning despite news that its film "Zootopia" won the box office again for the second straight weekend. The film pulled in more than $50 million in North American ticket sales. Additionally, on the earnings side, pay attention to quarterly performance reports from MannKind Corp. (Nasdaq: MNKD), Jamba Inc. (Nasdaq: JMBA), Black Diamond Inc. (NYSE: BDE), and TravelCenters of America (NYSE: TA). Investors should also look to earnings update from Lennar Corp. (NYSE: LEN), Cintas Corporation (Nasdaq: CTAS), and 3D Systems Corp. (NYSE: DDD).